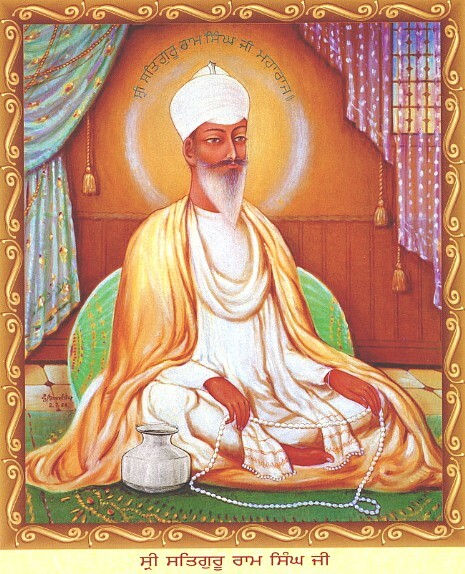 "I have travelled across the length and breadth of India end I have yet seen one person who is a beggar, who is a thief, such wealth I have seen in this country, such high moral values, people of such caliber, that I do not think we would ever conquer this country, unless we break the very backbone of this nation, which is her spiritual and cultural heritage, and, therefore, I propose that we replace her old and ancient education system, her culture, for if the Indians think that all that is foreign and English is good and greater than their ownthey will lose their self esteem, their native culture and they will become what we want them, a truly dominated nation." 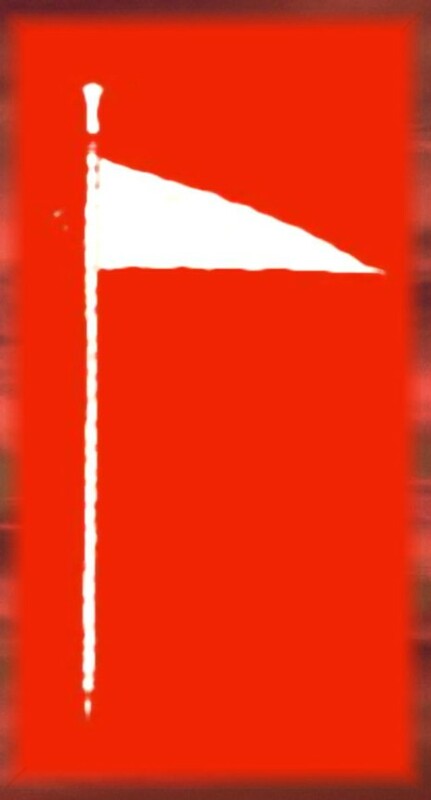 The Namdhari Sikhs played a prominent role in the freedom movement of India. They were in the forefront of freedom struggle at a time when the British were consolidating their hold over the country. During the early days of British rule in Punjab the Namdhari Sikhs organized themselves into a well-knit group of saint soldiers in the true tradition of Sikh Gurus and offered a tough resistance to British rule in Punjab. Sat Guru Ram Singh Ji the founder of Kuka movement was the greatest champion and harbinger of freedom movement .He launched a powerful and popular movement known in Namdhari Sikh history as Kooka Lahar (movement) to liberate his country from the foreign rule. It was Sat Guru Ram Singh Ji who first sowed the seeds of nationalism and patriotism in his countrymen and showed them the path to throw off the foreign yoke from the country. Mahatma Gandhi later emulated Sat Guru Ram Singh Ji's example and adopted his agenda of Non-co-operation and civil disobedience which led to the Independence of India. Sat Guru Ram Singh Ji's linked his resolve to free the country from the clutches of foreign rule with his mission to bring about reformation in Sikh Religion and society. During Sat Guru Ram Singh Ji's times Punjab presented a sordid picture of disunity, lawlessness, deceit, treachery, and anarchy. Moral values had taken wings. Corruption was rampant. Taking advantage of the prevailing situation the British made inroads into Punjab and brought it under its control. They introduced their own laws, which were detrimental to the interests of the local populace. The British started interfering with the religious affairs of the Sikhs and began distorting and twisting their history and fundamental beliefs. Sat Guru Ram Singh Ji was deeply shocked and aggrieved to see injustices being perpetrated by the British on his people. Sat Guru Ram Singh Ji knew that the country could not be redeemed or resurrected from the chains of slavery unless he gave precedence to religious and social reforms as overriding principles towards the ultimate goal of freedom. Sat Guru Ram Singh Ji set out to bring about religious revivalism and social regeneration of the society. He went back to the original teachings of Guru Nanak Dev Ji and Guru Gobind Singh Ji and introduced baptism ceremony to reinforce people's faith in the original tenets of Sikh religion. Sat Guru Ram Singh Ji launched his holy war against the British on 12th April 1857 by hoisting a white flag of freedom and announced a programe of far reaching significance. He gave a clarion call to the people to boycott government services, boycott British run educational institutions and law courts, boycott foreign made goods and defy British laws. Between 1857 and 1863 Sat Guru Ram Singh Ji preached his message throughout Punjab. His disciples swelled and grew in numbers. Sat Guru Ram Singh Ji's message had an electrifying effect on the people. The British were rudely shaken at the growing popularity of Sat Guru Ram Singh Ji. They took drastic measures to curb his activities. The Namdharis or Kookas were posing threat to the British empire in India. On 3rd July 1863 The British gave orders to detain Sat Guru Ram Singh Ji from village Khote in the Ferozpur district where he was addressing a huge gathering of disciples. Sat Guru Ram Singh Ji was taken to Bhaini Sahib where many restrictions were imposed on his movements. All religious gatherings were banned. The British kept hawks eyes on the Namdhari Sikhs. But Guru Ram Singh Ji continued his mission with the support of his followers. He had appointed Subas (lieutenants) in different parts of Punjab to spread the message of Sikh Gurus and keep the torch of freedom alive. Sat Guru Ram Singh Ji introduced a postal system to establish communication links with his Subas. The Kuka postal system ran on very effective and efficient lines. The Namdhari Sikhs reacted violently to the lifting of ban on cow-slaughter in Amritsar. In 1871 the Namdhari Sikhs rioted and attacked several butcheries in Amritsar and killed many butchers. A similar incident took place on 15th Jan 1872 at Malerkotla where Namdhari Sikhs fought pitched battles with the imperial forces to protest against cow-slaughter in the holy city. Scores of Namdhari Sikhs laid down their lives on the battlefield. 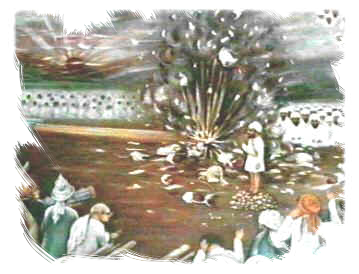 The British took several Namdhari Sikhs as prisoners and ordered them to be blown off with canon fire. Forty nine Namdhari Sikhs were blown off another sixteen were hanged. The brutal execution of Namdhari Sikhs sent shock waves in the country and its repercussions echoed in corridors of British parliament. After the execution of Kuka freedom fighters the Lt. Governor of Punjab issued a proclamation ordering deportation of Sat Guru Ram Singh Ji to Rangoon and imposed total ban on Kuka assemblies. Sat Guru Ram Singh Ji was a true fore-runner and torch bearer of freedom movement. Mahatma Gandhi later used the concept of non-co-operation and civil disobedience movement propounded by him as political weapons against the British. Sat Guru Ram Singh Ji's monumental achievement and the sacrifices of innumerable Namdhari Sikhs in the freedom movement are yet to be fully evaluated and given due recognition. The Namdhari Freedom movement had far reaching repercussions - Mahatma Gandhi adopted their means and methods as political weapons against the Raj in India. It united the countrymen in the common cause of achieving freedom leading to independence in 1947. Gandhi's model was later adopted by many a freedom fighter, including Martin Luther King and Nelson Mandela. Sat Guru Ram Singh Ji's fight for independence was a turning point in world history for it eventually sounded the death-knell of colonial rule in the British empire.